There is some debate in the early childhood arena as to whether calendar time is appropriate for preschool. Critics point to research that says many of the concepts of time are not age appropriate until first grade. We respect this research and think it’s important to keep our expectations in line with what is best for young children. However, we do feel like calendar time in preschool can have many benefits. It is incredibly important for those teaching young kids to understand the goals of calendar time as it pertains to preschoolers. For kids ages 3 to 5, calendar time should be used as a tool for exposure to, not mastery of, concepts that relate to time. Calendar activities should focus on developing a general awareness of vocabulary like now, later, next, then, today, months, seasons, etc. Many preschoolers will be experimenting with using these terms in context, and through conversations and calendar activities we can give them opportunities to do so. Calendar time is also intended to give kids a general awareness of what a calendar looks like. It helps them to understand that there are days of the week, months of the year, etc. Although we do not yet expect them to name or sequence these concepts in order, exposure is helpful as kids begin to show an interest in this information. Calendar time is also often used as a daily way to practice numeracy skills like counting, number recognition, and basic number sense concepts (like comparing, counting on, and counting back). Perhaps the most important goal of calendar time is helping kids make meaningful connections with topics discussed. Through these connections kids reinforce their learning, and this is what paves the way for long-term mastery of these skills. For example, when a child learns that another family member shares the same birth month as him, he makes a meaningful connection. When a child learns that the day of the month is the fifth and she is also five, then she has made a connection to that day. When he realizes that all the days of the week end in the letter Y, a child has made another connection. During calendar time it is important to stop and allow time for kids to make these observations. Sometimes that will mean your routine is modified or cut short to allow ample time to develop the discussion, and that’s more than okay! Meaningful discussions trump staying on schedule every time in preschool. Do I have to do calendar time? There are vastly varying opinions on this topic. Some suggest waiting to introduce calendar until after preschool. Others point to the observations kids make and the benefits of calendar and can’t imagine not incorporating it into their preschool routine. Most end up doing calendar time because it is a way to regularly expose kids to many skills in one short burst of time. We recommend doing calendar time with the goals we previously presented in mind. In a language rich home classroom, calendar time is another tool for discussion and learning. If I do calendar time, does it have to be done every day? No. 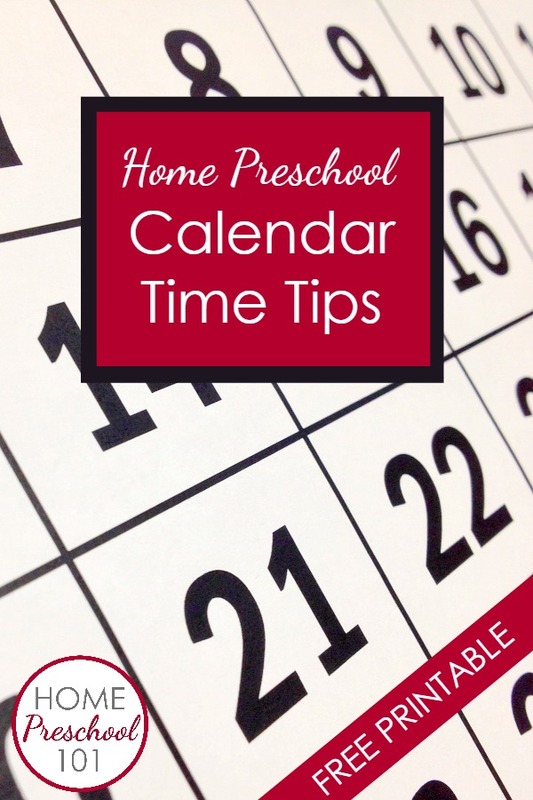 Even if you do home preschool two days a week you can still do calendar time. You’ll just need to include elements that don’t have to be done daily (like graphing the weather might not work so well on a two day a week schedule unless you modify it in some way). And if you plan to do calendar daily but miss it sometimes, that’s totally okay. Just catch up the days of the month when you resume calendar and continue on with your normal routine. When is it best to start calendar time? Is today the day we got to _______? When did we go to _________? How many days until ________? When are we going to ____? As you can see from the materials provided in the Teaching with Calendar Time guide, calendar time can include many different components. Start slowly and introduce different components slowly, building your routine over time. This will ensure that you’re not overwhelming your child with all new information at one time. When possible, introduce components as your child shows an interest in them. If your child is asking about what days you go the library, start talking about the days of the week. If he’s asking when his birthday is, start talking about the months of the year. If she’s talking about how the leaves are changing outside, include discussions about the seasons in calendar time. How can I get my kid more engaged in calendar time? Remember that preschoolers are active learners. Instead of expecting your child to sit quietly while you tell him about the calendar and ask questions back and forth, get him involved. Ask your child to add the calendar numbers to the month. Give your child a pointer and let her be in charge of pointing out things on the calendar. Include movement by having your child do a number of activities to match the day of the month. Dance and sing to songs during calendar time. 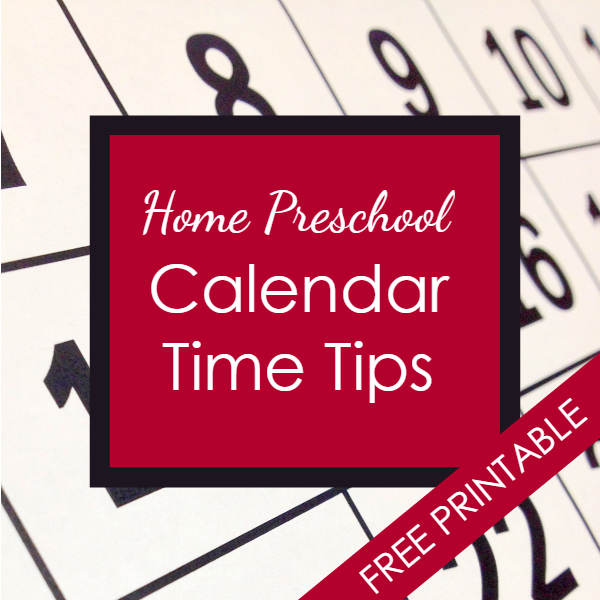 Make your calendar interactive and allow your child to move pieces (during and outside of calendar time). Some kids love taking the numbers off and putting them back in order. They also like to take down the days of the week and put them back up. They may need help doing so, but if they are interested then this can be a helpful way for them to engage in calendar time activities. You’re making it fun. If you do calendar daily, it’s helpful to add new elements or novelty occasionally to keep it interesting. 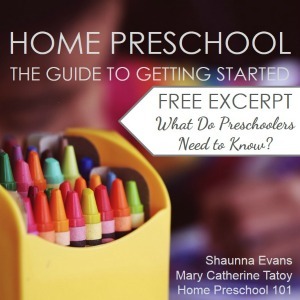 It is also possible that your child is not developmentally ready for this task yet. If so, we recommend setting aside calendar time for a month or so and then trying again. However, you can still take advantage of daily discussions and questions that come up to take a look at the calendar and practice some of the tasks mentioned in this resource while you’re waiting to try again. What concepts can I include in calendar time? Other Concepts-Additionally some people choose to focus on specific skills during this time that are not necessarily related to “calendar”. These include letters, shapes, and other focus skills in the chosen curriculum. It can be helpful to brainstorm a variety of ways you will work with these concepts during calendar time and then choose one or two ideas from each concept to do each day during calendar time. In our Calendar Time Lesson Plan Template you’ll find a blank planning sheet you can use to record your ideas. It’s editable, so you can add new information as you focus on different skills. Download your copy. Add your chosen activities. Then print it out to keep near your calendar area for quick reference during calendar time.